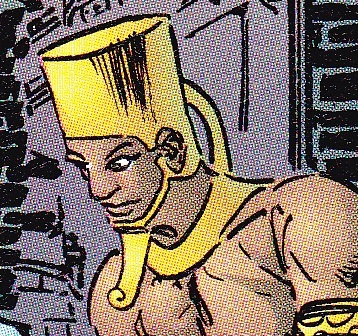 Other Distinguishing Features: Wears an Egyptian style headgear. When Dragon first arrives in Godtown, Debbie is killed due the crash landing of their ship. Shireeka is one of many Gods seen taking away Debbie’s body until the intervention of Dragon stops them.